Burberry joins forces with Apple to create a AR experience for the Fall/Winter ‘17 campaign.Burberry Group is the latest luxury brand to venture into augmented reality with their collab with artist and film maker Danny Sangra and Apple Inc.’s new ARKit function. So what does the app do exactly? It gives a Burberry-inspired makeover to users digital content paired with the artsy feel of London based artist Danny Sangra for the Fall/Winter season. Talk about aesthetic goals! Burberry wants you to share ‘digitally influenced’ purchases. A recent pop up shop held during #LFW brought out influencers and fans of the luxury brand, explore a curated gallery of the pop up using #NOWTHENDANNYSANGRA. The augmented-reality feature interacts with users’ camera feeds to digitally create their surroundings with Burberry-inspired drawings by the artist Danny Sangra featuring fresh faces like Adwoa Aboah. Though the first of its kind AR and AI tech are slowly becoming part of fashion. Early this year, the release of Snapchat’s Spectacles and earlier on Facebook’s Oculus Rift, brought the industry closer to AR. High fashion labels like Dior, Balenciaga and Rebecca Minkoff have utilized VR to create experiences, including runway viewing and VR shopping experience. More and more high-end brands are increasingly focused on reaching consumers via smartphones or the web, as two-thirds of luxury purchases are now “digitally influenced,” according to Boston Consulting Group. 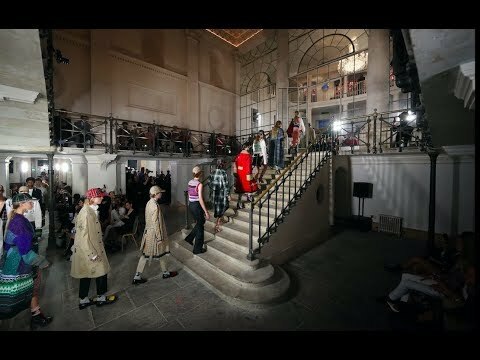 Are you curious about Burberry VR? Discover the Danny Sangra experience via the Apple store and create your own high fashion world!